There is no doubt that pellet fuel energy is promising and cheap. If you have abundant raw material that is suitable for making pellets fuel, you may consider building a pellet plant. But before you make this decision, ask yourself the following 10 questions. What is your material? Too many materials can be into pellets, from sawdust and wood logs which are commonly seen, to oil palm trunk or bamboo which are rarely seen. 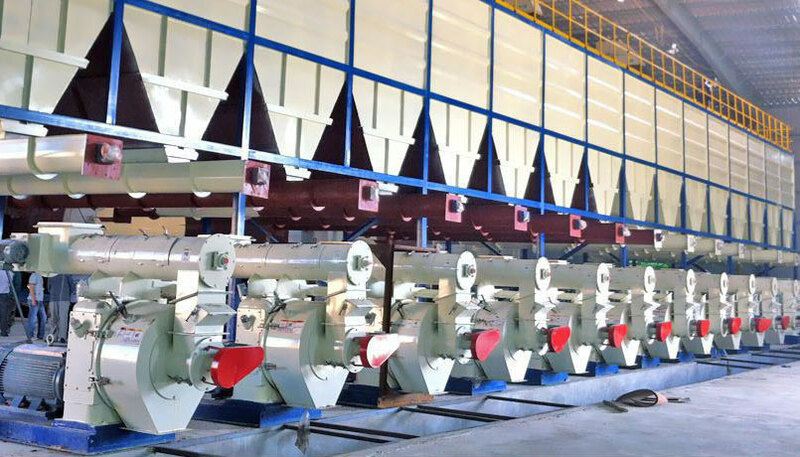 The material decides everything, it decides the combustion value of the final product, it decides if you need a hammer mill or a dryer to resize the mateiral, it decides the which types of pellet mill you need, and so on. The moisture content of the material. When talking about pellets production, the water content of the raw material is a critical factor that you need to carefully audit. You may not know that higher water content will raise the final cost of each pellet because you will need more investment for drying the material to make the moisture content to an acceptable level (usually around 15%). The drying system required a high energy consumption which means more money to put in. Do you need a dryer or a drying system and what is the energy resource for dryers’ stove? As mentioned in the question above, material with higher water content needs a dryer. Actually, in most pellet plants that we are building, the drying system is a must. Most clients will use the offcuts from the material to heat the dryer, but if another resource is cheaper, you can absolutely choose it. In some cases, the customer use natural gas. The initial size of the material. Making pellets is not simple feed any shapes of material into the pellet mill and waiting for the pellets come out. In the real world, we met various materials in hugely difference shapes. They may be powder, blocks, chips, even entire tree trunks. But the pellets production needs to be done in a moderate and smooth way. That is why you always find a hammer mill in a pellet plant. It’s aiming at cutting the material in a uniform size. What sizes of the pellets do you need? In wood pellets industry, the size of a pellet refers to its diameter of the cutting section. 6mm, 8mm and 10mm are the three most used sizes. But if the clients need other sizes, the supplier can always satisfy your requirement by re-molding the ring die which is a key part of a pellet mill directly deciding the diameter of the final pellets. What is the power condition of your site? Different countries may have different power conditions. For example, in China the industrial power supply is under 380V, 50Hz, 3-phase, while the residential condition is under 220V, 50Hz, single phase. This is not a big deal, but talk to your supplier and make sure you give them the correct number so that they can make a right power calculation for you. How many materials can you supply per hour / per day? More feeding material means more pellets can be produced, also means more money to invest. For example, if you have a material supply of 1 ton per hour, one pellet machine is totally enough to complete this mission. But if you have 10 ton/hour material supplier, more pellet machines are definitely required. The pellet machine takes a vast part of the total pellet plant cost. Math it carefully and find the right breakpoint. What is the purpose of making pellets? You are either going to sell it for profit or use it for your own project. There are two further conditions for you if you are planning to sell pellets, one is to figure out the pellets price in your local market and figure out the cost of every ton of raw material you can access as well as the production cost which you can get from your supplier. After you know all the information, you can find a proper price for your own profit. The other one is, for selling pellets, you have to buy a packing machine to pack the pellets in bags and give it a brand. Which sea port in your country will you use for receiving products? If you choose Chinese supplier, they offer FOB prices. But CIF price is also available if you can provide this information. For people who are going to sell their pellets overseas, he’d better know the sea ports clearly for his own good. What is the local environmental requirement and what is the subsidy policy? Dust will appear in the process of drying and during pellet production. Although some machinery, such as dust collector, works to reduce dust emissions as much as possible, you still need to find out the local environmental protection regulation on industrial production. Also, as pellet fuel is known as a renewable, clean energy, it is encouraged by the governments from many countries by giving subsidy to the energy producers. Sometimes the amount can be huge. Just keep it in mind.